The Amazon is simply the world's greatest bio-system. 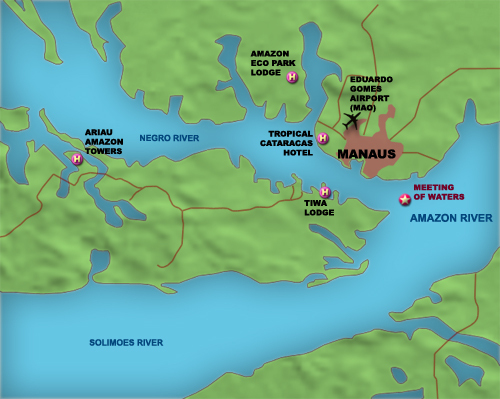 The region of Amazonia, the correct name of this area, houses the most diverse collection of flora and fauna in the world. 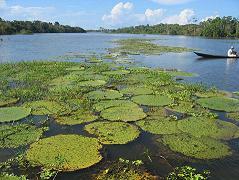 As much as 20% of all the world's species are found in the enormous rivers and jungles of Amazonia. The common way to refer to this whole area is simply: The Amazon. Get the most from your Brazilian vacation. Let the travel professionals at AR Tourism arrange the perfect vacation for you, while saving you money and eliminating the inconvenience of handling overseas arrangements.